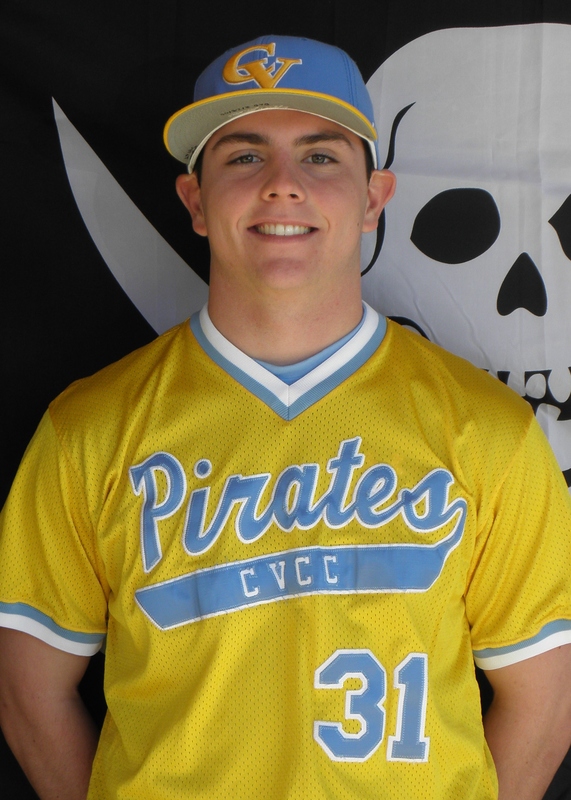 With the April stretch run ahead, the CVCC baseball team made up some ground in the ACCC Central race by knocking off #4 ranked Central Alabama, 5-4, and earning a road split at Southern Union, losing 17-9 and rebounding in the nightcap with an 8-0 win. Friday’s game versus Central Alabama was just what the doctor ordered for a sporadic pitching staff. 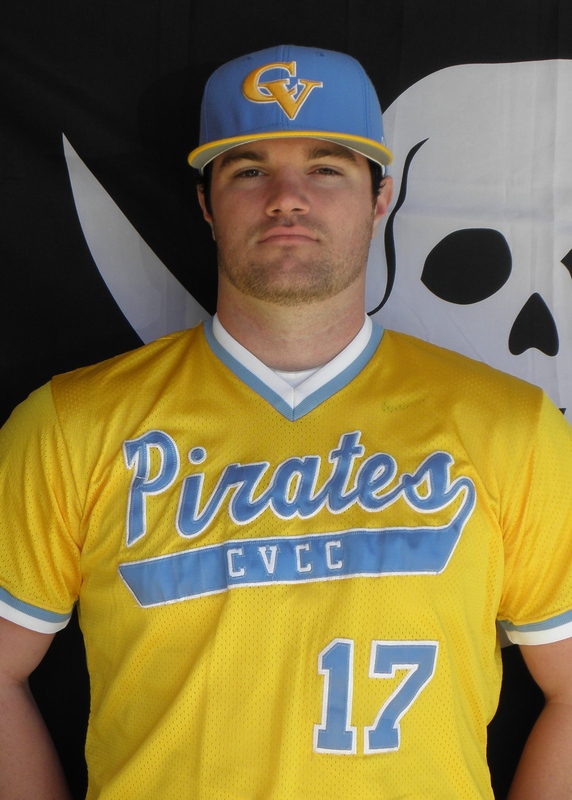 Clint “Big Cat” Spratlin toed the rubber at Howard Lake Field and was nothing short of sensational for the Pirates. After walking the leadoff hitter in the top of the first inning, Spratlin then proceeded to allow only a single baserunner for the next 5 2/3 innings, as he held the Trojans hitless until 2 outs in the 6th, and carried a 1 hitter into the 9th inning. On the day, Big Cat tossed 8 innings of 3 hit baseball, striking out 4, and inducing 13 ground ball outs. Offensively, CVCC jumped on the board early, with some 2 out magic in the bottom of the 2nd inning. Josh Sanders smoked a double down the line, then stole 3rd base on a a dirt ball read and promptly scored on the catchers overthrow of the base. After a Hinshaw walk, Cody Walker plated the second run of the inning with a 2 out single. 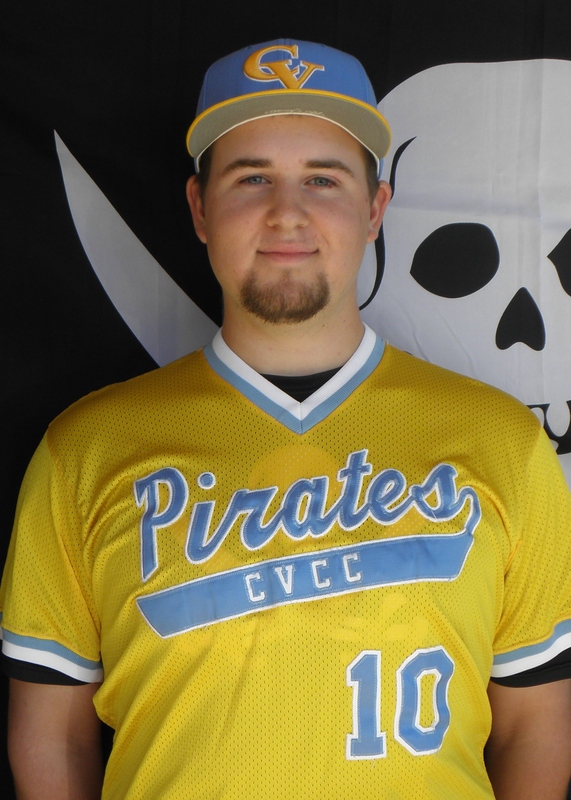 CVCC scored single runs again in the 5th and 6th, as Jared Kahn led off the 5th with a triple off of the left centerfield wall and later scored on David Levy’s RBI sacrifice bunt. With more 2 out run support in the 6th, Cody Walker doubled off of the centerfield wall and then scored on Jared Kahn’s single. The Pirates scored what, at the time, looked like an insurance run but turned out to be the game winning run in the bottom of the 8th, as Pat Olvaney jumped on the extra base hit bandwagon and smoked a triple of his own off of the right center field wall and was plated by Taylor Hinshaw’s single through a drawn in CACC infield. A 5-1 easy win then turned into a 5-4 nailbiter very quickly, as after Spratlin was chased after back to back hits, Zach Helewski came in and recorded 2 of the 3 outs needed, but not after 3 free passes. 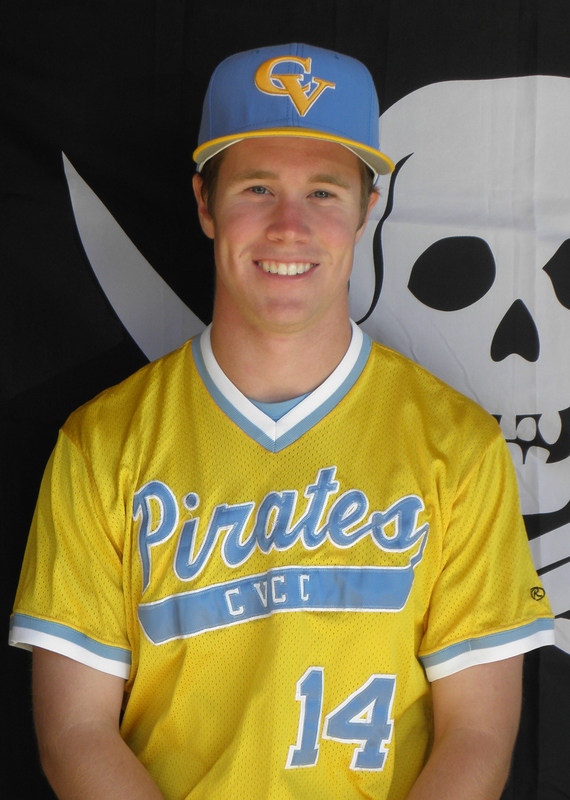 Matt Vollenweider came on with the bases loaded, 2 out and CVCC clinging to a 5-4 lead, induced a harmless groundball to shortstop to end the Trojan threat and the game. Saturday’s double header at Southern Union looked early as if the Pirates were going to run away with another victory, as they scored 7 runs with 2 outs in the top of the first inning, led by a 2 run homer off of the bat of Kendell Brinson, and RBI hits coming from Hinshaw and Martin Castro. The good feeling and lead were short lived though, as starter Mike O’Neal was unable to stymie the Bison bats and surrendered the lead in the fourth inning. The route was on from there, as the Pirate pitchers allowed 15 runs and 22 Southern Union baserunners in the final 4 innings of the game. 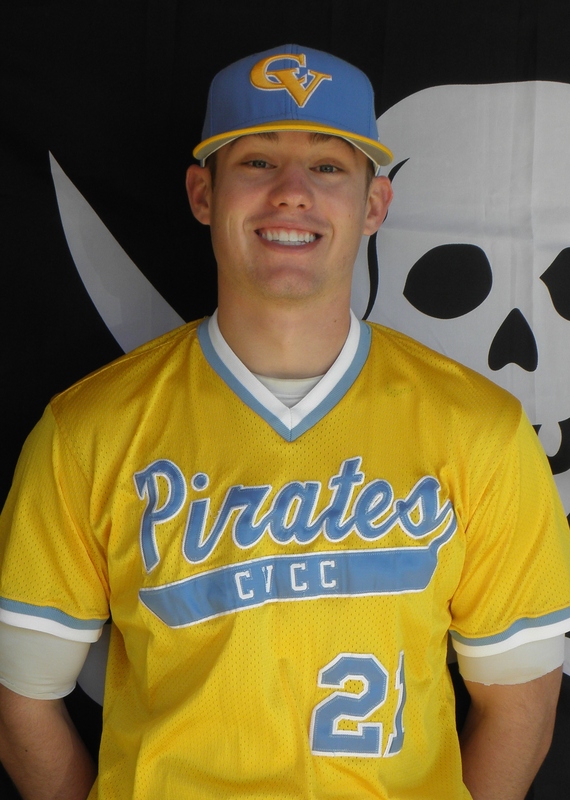 Offensively, Kendell Brinson had a 2 hit, 2 RBI game, while catcher Cody Walker clubbed his first career homer as a Pirates. When the dust settled, the Pirates saw themselves on the wrong end of a 17-9 woodshedding. If Game 1 was Jekyll, then Game 2 was Hyde, as the Pirates and Bison completely switched roles. Dustin “Dumptruck” Dunagan was magnificent in a complete game, 4 hit, shutout effort to blank Southern Union, 8-0. Dunagan took a no hitter of his own into the fourth inning of the 7 inning affair, and allowed only 4 hits on the day. More impressively, he faced only 3 hitters over the minimum and 5 of his 7 innings were of the 3 up, 3 down variety. 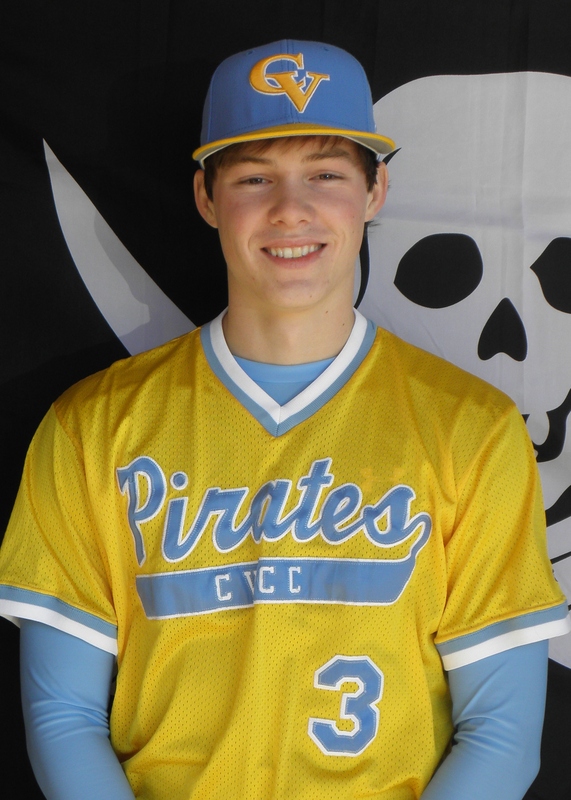 Offensively, the Pirates wasted no time jumping on Bison ace, Locke St. John, posting 5 runs on 10 hits in less than 4 innings on the hard throwing freshman lefty, led by RBI basehits by Neal Chambless and Kendell Brinson. The four run fourth gave the Pirates a solid 5-0 lead. 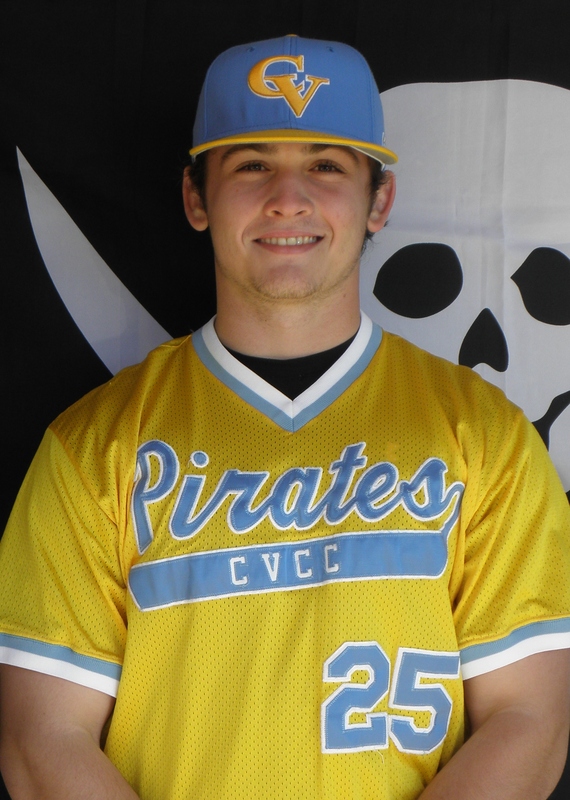 The scoring was not over, though, as CVCC added 2 runs in the 5th on a Martin Castro 2 run single and another run in the 6th coming from an RBI single form Taylor Hinshaw. CVCC now sits at 24-18 on the season and 10-9 in conference play. The Pirates will travel to Wallace State-Selma on Tuesday for a 5:00 pm eastern game at Bloch Park.